Si hay alguna banda que puede presumir de longevidad y perdurabilidad durante ya tres décadas, ésa puede ser They Might Be Giants. Los de Brooklyn llevan desde finales de los ochenta en la brecha, y ello sólo puede ser debido a una causa: tener algo que ofrecer y, desde luego, no perder la frescura. 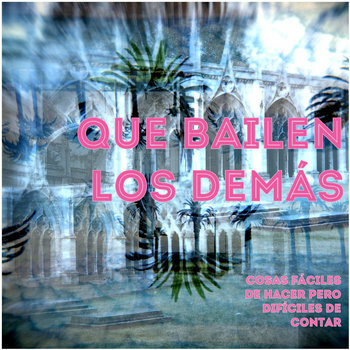 Un disco de veinticinco cortes en el que no hay lugar para el virtuosismo ni para el relleno instrumental ni para ningún tipo de divagación. Si acaso para la inspiración, para el buen gusto por las canciones y por un sentido de la musicalidad fuera de toda duda. Dream-Pop ensoñador es la propuesta que este dúo de Los Ángeles nos ofrece. Poco sé de ellos, y: sólo conozco este precioso sencillo presentado en un escueto mail que recibí hace poco. Por lo pronto, anuncian álbum de debut para este mismo año. Este I´m to blame es un corte delicado de Dream-Pop con influencias fronterizas y un teclado auténticamente mágico e hipnótico. Espero tener nuevas noticias de ellos en breve. “Inspired by Dylan, the Stones, Neil Young, and more, Lousy with Sylvianbriar was created with a new songwriting approach, a different recording method, and a fresh group of musicians. Recorded live to a 24-track tape machine during a frenetic three week period in Kevin Barnes’ home studio, Lousy with Sylvianbriar is a throwback to early of Montrealalbums and contains callbacks of an even earlier time. “I knew I wanted the process to be more in line with the way people used to make albums in the late 60s and early 70s,” reveals Barnes. In the bookish, sugar-sweet corner of punk-inspired guitar music that we call indie pop– a scrappy subculture where amateurism is heralded, charm goes a long way, and crushworthy hooks go miles further– the Pastels are legends. But time has shown that icon status does not necessarily guarantee the ability to endure through new records, nor the power to gracefully evolve. With three decades behind them, the Pastels have done both, developing slowly from early pop rippers (1989’s Sittin’ Pretty is essential) to more subdued sophistication on Slow Summits— a work-in-progess since 2007 that was finally released last month on Domino. It’s their first album since 1997’s Illumination, and one of their best, a dimlit collage of strings and flutes featuring moments of poptimism and jazzy textures inspired by Arthur Russell‘s 1970s Instrumentals series. Still, Slow Summits doesn’t totally forsake a character of off-kilter abandon as much as it’s just the latest progression in Pastelism. 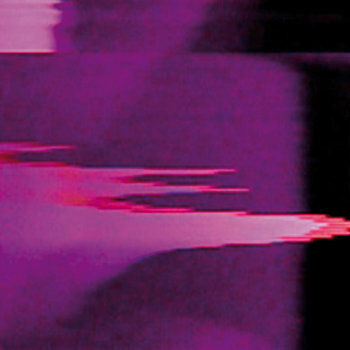 In the time since Illumination, the Pastels have also worked on commissioned theater music, a film soundtrack (2002’s The Last Great Wilderness) and a collaborative LP with Japanese act Tenniscoats (2009’s Two Sunsets), the latter two released via Stephen and Katrina’s own Geographic label. (They’re now planning a series of reissues from Strawberry Switchblade, the undersung Scottish bubblegum-pop duo.) Since 2002, McRobbie has also co-owned a Glasgow record shop called Monorail with a couple of friends, where he typically works three or four days a week. “It was one of those times when you’re quietly confident about something and quite pleased when it works out,” he says, talking about the store, though the statment holds true for many of his musical ventures. It would seem that a new generation has recently discovered the Pastels– downloading their albums from blogs, Tumbling zine articles, reveling in 90s inter-band trivia. (I’ll never forget the stunned feeling of learning, a few years ago, that Black Tambourine‘s 1992 track “Throw Aggi Off the Bridge” was a reference to Pastels’ Annabell Wright.) In spirit, though, their audience never went anywhere at all. Pitchfork: Do you still feel like you’re an outsider by nature? Stephen McRobbie: When we started in Glasgow, Orange Juice was really exciting. They moved to London and never really put their roots down in this city, but people who loved them did. We were part of that, but we were outside of prevailing trends within the city, too. A sense of community is a really important part of the Pastels, but it’s good not to feel that anyone within the community could make the music that you could. We always feel slightly outside of things– we don’t rehearse where all the other groups rehearse. We try to keep it apart, even though I feel so much love for the city and the music that comes from it. But I want to be a distinct voice within that. What makes us different is what makes us strong. We’ve made records for much longer than I could have ever imagined when we started. I thought we existed in some place after punk, that we could find something distinctive and make records for three or four years. I look at groups like Yo La Tengo and the Fall, and I think, “Maybe this is a good generation of groups that could keep going.” We’re these voices that are trying to be strong and say something new. That’s what the group is: being truthful, but also trying to imagine something up ahead. Pitchfork: There’s a generation of young fans excited about your music, too. SM: Music really can burn out. It’s very specific to periods. But there’s a tendency to wonder what came before. Society’s changing, music’s changing. The way we listen to music is becoming something that none of us quite understand. When I listen to Animal Collective, sometimes I would think, “Ah, things are becoming so complicated now.” It’s almost too much for me to listen to. Something like the new My Bloody Valentine record is just as complicated, but somehow I can understand the sounds or voices. Trying to engage with the different ways that older things and newer things come across… it’s such an interesting time. Pitchfork: What sort of influence would you want the Pastels to have on younger indie pop bands that look up to the group? SM: I would like the work to inspire people in terms of how it was often the best thing that we could do in the moment. As a group, we loved other music and never felt sealed. We embraced our own flaws and tried to make something spectacular but very human. In the 1980s, the music we were making was odd. We should have been making synth music. The idea of guitars was all over, but we ended up in a group with people that enjoyed guitars. I like the idea of people not being afraid of failure, just documenting what you are as a group, but also trying to find the good elements and glamorizing those, to an extent. Pitchfork: I read an interview you recently posted on Facebook about the “anti-twee” sentiment. It reminded me of how, for an indie pop band, the Pastels always felt subversive or punk to me. SM: Being subversive is not a natural state for me. But I always feel horrified at certain things. For instance, we’re all in our 30s and 40s, so we’re all connected to each other’s families. We have that strong sense of community, and I like the idea of people doing well in a kind of equal society. As a socialist, I’m always into that. So I feel angry at people calling a lot of these ideas we have twee because I can’t think of anything less twee. Tonight, I was out with Norman from Teenage Fanclub, one of my good friends. We were talking about this music award in Scotland, which we both basically support. Generally speaking, it’s a good thing, and the people who run it have gotten funding for it. But it creates certain contradictions. Should there be a prize for coming “first” in music? Or is it more democratic and personal? Scotland’s a very small country, and I very much support some arts funding, but I sometimes just wonder: Maybe that money would be better spent on a kidney dialysis machine rather than in supporting artists. Pitchfork: A monetary reward for music could project an idea of it being about an end to something, not a means. SM: There’s not always a prize. Where’s the prize for all the early Modern Lovers recordings that set the blueprint for so many years of music, you know? In a way, once you start giving out prizes, where do you stop? Pitchfork: You’ve spoken before about how you never wanted the Pastels to be what you earned your living from. SM: Yeah. It’s not something I feel super moral about– we have our new record, and I’m starting to think it would probably be good for me to give more time to this, because if we play shows we can generate money. Art in our society is really integral, but it’s not integral in the way of people staying alive. Well, I think music’s really one of the most important things, but a lot of the best music finds its own way to be made. A lot of great records were made by people who had decadent lifestyles and sat around for ages, and then, in the last moment, went into the studio and did something really good. But I also see people who work hard and think it would be great if they had a bit more time to spend with their music. Other times, I see people who would be better off having less time to spend with their music. It’s a constant dilemma. As a socialist, I want to create a situation where brilliant art can arise, but brilliant art often arises out of terrible situations. You don’t want things to be terrible, but in the UK a lot of the best music was made in the Thatcherist era, which was horrible. It’s not simple, but the outsider voice is always really interesting– something oppositional that isn’t immediately embraced by the prevalent body. Pitchfork: At this point, is it important to you to create a sound that is new or different from what you have done in the past? Or is it more about having parameters and writing the best songs you can within them? SM: We don’t feel like we have parameters. We always feel new when we do something, and it always seems to connect in some way with what we’ve done before. But there’s always a freshness for us when we play together. It never feels like we’re trying to play a new version of “Nothing to Be Done” or “Crawl Babies”. We have a certain group sound but we’re always trying to expand the parameters of that sound. Pitchfork: I was recently listening to an early Pastels interview where you spoke about rejecting the idea of sophistication. But the new material has horns, cellos, and other strings, which are very sophisticated. How do you see that concept of sophistication factoring in nowadays? SM: In the 80s, we were very suspicious, but everyone that plays in the Pastels is always very ambitious. 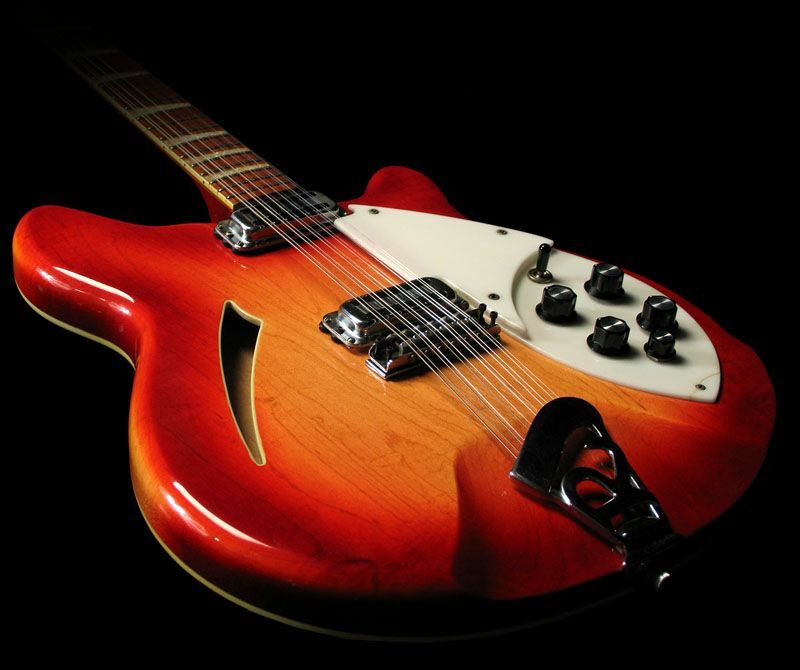 I love pop music with string arrangements, like the Left Banke and the Beatles and all the 60s things. But also, I like a particular sound that’s arrived at– I don’t like bringing in people who can just do that for music instantly. It’s been a process for us. I’m really proud of a lot of those early records, they were very ambitious. In terms of how we sounded when we were in the rehearsal room, they were really fabulous creations, and I don’t know how we managed to make them in some instances. Now, sometimes we sound really good in the rehearsal room, but we’re still trying to do something more. I don’t know what the epitome of sound is, but it’s something we’re always reaching for. Pitchfork: Something that stuck out for me with Slow Summits was the potential influence of Arthur Russell’s 1975 Instrumentals series. SM: I’m excited that you said that. Arthur Russell is one of my heroes. I came across him about eight years ago. I thought he was a disco pioneer and then was really freaked out when I heard all this other stuff. I love the sound of him playing in a room– the negotiated sounds of a room. When we were making our record, we’d come to the end of the song in the rehearsal room, and there’d be quite a nice chord turnaround. Suddenly, we’d just keep playing, and people in the band would feel like they could express themselves. A lot of that music was absolutely the best stuff we were doing– the rolling outros– and that was the music I was really passionate about. I tried to make those into the main parts of the songs. Pitchfork: A song like “Summer Rain” definitely has the Instrumentals feel. SM: “Summer Rain” was my favorite song that I carried around for two or three years. You carry a song like it’s your main hope– not like it’s the most important piece of music you’ll ever make, but the most important music you think about in your life. I had this idea for a song that would be quite melodic and simple, with a really short, Kinks-style outro, that would just die off after 20 seconds, but [multi-instrumentalist] Tom [Crossley] had all these flute ideas. Then it became like a lot of the music we love– like the Ralf und Florian album, or Arthur Russell’s Instrumentals. Pitchfork: You played the 20th anniversary show for the influential zinechickfactor last year, why do you think that publication and scene has endured? SM: There was a really nice aesthetic that [chickfactor co-founders] Gail [O’Hara] and Pam [Berry] were able to bring to chickfactor. It was very subtle and emphasized groups where females were the leader, or doing something key within the group, but it was an understated polemic. They just noticed things with longevity. They were right on things very early, when people weren’t so interested. Things have longevity when they are personal and intense. Pitchfork: The Pastels also had the Pastelism zine. Nowadays, do you feel content to communicate with people online, through Facebook and Twitter, or did you place more value on things you used to do in print? SM: I don’t place more value in print, but sometimes if I see a beautiful book I think it’s best to step back from the screen. You have a sense of something having real worth. There are fantastic blogs and great writing on the internet, and the speed of communication is exciting. But also I love something beautiful. I love records and fanzines and books and great photos that I can see the print of. That’s not about to die. It’s important for everyone. Pitchfork: Would you ever reproduce the Pastels zine, or do you think it had its time and place? SM: It had its time and place, but we’ve been speaking to a publisher about the idea of doing some sort of Pastels book that would be a mixture of works we’ve produced and photographs and writing, too. Pitchfork: In the recent video for “Check My Heart” there are a lot of children. It made me wonder, are you and Katrina married and do you have kids? SM: We’re not married. But I can’t imagine being with anyone else. I imagine we will get married at some point. Allison, who plays trumpet, is Katrina’s little sister; she’s got two little children. Aggi and Tom have got a girl. And John, who plays guitar, has a girl called Astrid. It’s kind of a family, but Katrina and I don’t have any children. A central part of the video is the idea that music’s such a big part of our lives, but our lives are changing because our friends are parents. We tried to make something that’s a cool pop video, but also an accurate summation of where we are now. We’re still in love with the pop moment– with the idea that you can make a record you can dance to– but we also love just being around our friends’ children and everything. 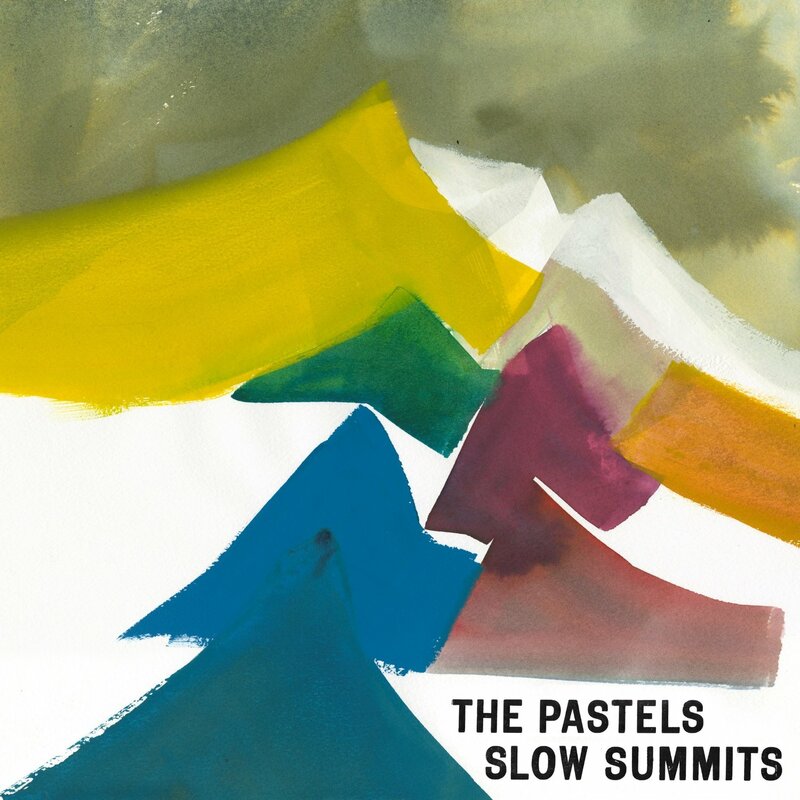 Pitchfork: Sixteen years passed between the last Pastels record and Slow Summits. What differences in your life stand out, other than being older? SM: I can certainly say that our lives have changed dramatically. We try to not glamorize every moment, but to also make something that’s hopeful, that’s got a belief in humanity, that’s really quietly triumphant. The main thing that happened in my life is that my dad died. It’s already marked a song like “Night Time Made Us”. During the latter part of making the record, the sessions became tighter, because we felt that we had less available time. In a way, I think life’s one thing, and what you do is something different. I don’t always go to a film and expect to experience everything the director has experienced during the time he was making it. But you also want a sense of truth. And I do have a sense that our record is truthful. El regreso tras dieciséis años de The Pastels, no podía ser más esperado. Uno de los iconos Pop por excelencia de los últimos tiempos para todos los Indies que se precien están de vuelta. En un año en el que también han vuelto My Bloody Valentine y Red Kross lo hicieron el año pasado, el retorno de The Pastels se convierte en uno de los acontecimientos musicales de la temporada. Pero Katrina y Stephen continúan siendo chicos normales. Tienen sus trabajos (diseñadora y bibliotecario), llevan una vida cuasi anónima y se dedican a grabar música cuando les place y les agrada. Creadores de un género (como MBV), The Pastels se pueden ufanar en grabar lo que quieran. Su legión de seguidores continuará (continuaremos) estando a su lado, y Slow Summits es un disco en el que parece que los chicos de cierta manera continúan donde lo dejaron en 1997. Bueno, quizás a su sonido le hayan aparecido algunas canitas y algo de barriguita, pero sus planteamientos continúan casi intactos: romanticismo, nostalgia, cierta pereza sonora… aunque los Pastels de 2013 han dejado atrás ese sonido algo amateur que les caracterizaba, esa halo de espontaneidad que les otorgaba ese encanto particular. A ello ha contribuido especialmente la producción de John McEntire (Tortoise) y la colaboración de amiguetes y ex-colaboradores de toda la vida: Gerard Love, Norman Blake (Teenage Fanclub), Aggi (su violinista de siempre), Stefan Schneider y Ronald Lippok (To Rococo Rot), los japoneses Tenniscoats (junto a los que firmaron ‘Two Sunsets‘), Craig Armstrong (Massive Attack, Pet Shop Boys, U2), encargado de los arreglos de ‘Kicking Leaves’. Tom Crossley (teclista y flautista asiduo colaborador de The Pastels), John Hogarty y Alison, la hermana de Katrina. El único pero que le encuentro a este disco de The Pastels es su tremendo parecido sonoro con el debut en solitario de Gerard Love y su nueva banda: Lightships. No en vano, comparten casi media formación con estos nuevos Pastels de 2013. Quizás en esa falta de brío generalizado hay al mismo tiempo un pro y un contra. Esas Cumbres Lentas son algo más que una declaración de intenciones. “Slow Summits is their first proper album in 16 years. 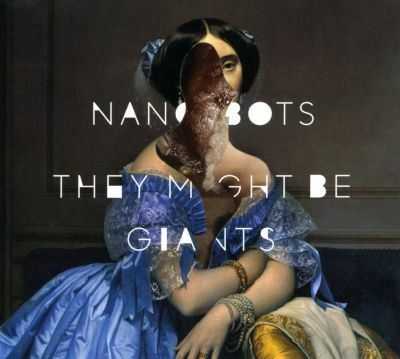 (Their last release was a 2009 split LP with Tenniscoats titled Two Sunsets.) Here people watch airplanes from the porches of their parents’ house and stare at old drawings of older friends. They compare themselves to small piles of rocks behind neglected railroad tracks, lit by distant light. They kiss, hug, and wonder if anyone notices them, but rarely speak loud enough to be heard. “We are missed, but we exist,” McRobbie sings near the end of the album, his voice low and bashful, less a singer and more someone drunkenly telling you how great they think you are. Like Illumination, Slow Summits marries the rough naïveté of indie pop with soft, jazzy music influenced by 1960s artists like Burt Bacharach or the Free Design– music whose pleasant immediacy is actually the product of sophisticated planning. Each wayward handclap and casual jangle of guitar is matched with tight, brushed drums and pro-grade violin. Credit goes to Chicago studio head and multi-instrumentalist John McEntire, who captures each sigh and flourish in vivid clarity. For a band that once seemed borderline unable to play their instruments, latter-day Pastels records feature an awful lot of impeccably recorded French horns. “Rain is falling on a European street,” Katrina Mitchell sings in the album’s opening minute; “park your car outside and be discreet.” Her voice is gentle and grainy, not a whisper but almost one– a voice reserved for the house, or maybe the bed. Like former Olympia bandBeat Happening or countrymates Belle and Sebastian, the Pastels are part of a strain of indie-pop whose sweetness is backlit by mystery and lust. In the role-reversing traditions of indie-pop, it’s Mitchell who asserts herself while McRobbie sounds lost in daydreams. The album’s most direct, upbeat songs– “Check My Heart” and “Come to the Dance”– are hers. When McRobbie’s voice joins her on the last line of “Secret Music,” it’s like he’s been hiding on the sidelines, too shy to come out. Ultimately, though, McRobbie finds his moment. Against the brisk, carefree backbeat of “Night Time Made Us”, he confesses, “I wanted to steal something that was already mine.” In case the idea wasn’t clear, he repeats it, emphatically, before disappearing into a refrain of cascading flutes. In a certain sense, the Pastels are a punk band, or a band that has always privileged punk values: community, equality, the homegrown and self-directed. But whatever politics the band holds are implicit. It’s difficult to imagine the Pastels raging against any machine. It’s easy, however, to imagine them turning away from the machine entirely. They’ve been doing it for 25 years. Like all Pastels albums, Slow Summits feels like the work of a tightly knit gang of outcasts. Together they roam familiar streets, checking out the public tennis courts and town center, armed with the knowledge that the deepest mysteries are the ones we barely notice and the greatest adventures are ones taken closest to home. 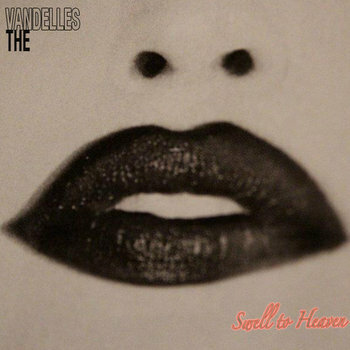 Pasa el tiempo, pero The Vandelles continúan a lo suyo: al sonido Surf convenientemente ensuciado con pedales de distorsión a ritmo cercano a lo inaudible. Los neoyorquinos son viejos conocidos de TJB, y este último sencillo merece la pena ser reseñado, máxime cuando los chicos han decidido ofrecerlo en descarga gratuita. El vídeo es, además, muy divertido. 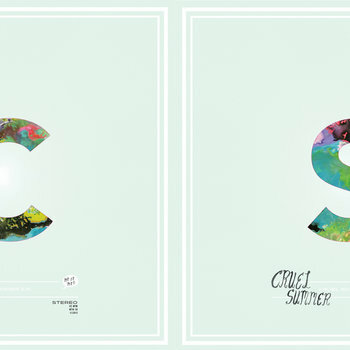 Cruel Summer son una agrupación de San Francisco dedicados no sólo a homenajear al clásico sonido de su ciudad, sino también, por qué no, a rescatarnos sabores conocidos: el Jangle-Pop, el C86… Tienen ese característico encanto amateur adornado con ese tufillo hipster que les abriría las puertas de cualquier escenario del Indietracks. Levitan en la órbita de Mt.St.Mt y acaban de publicar el que es su álbum de debut, este Cruel Summer, un disco en el que los californianos muestran todo su repertorio de Fuzzy edulcorado y melodías agridulces. Han pasado cuatro años desde aquel genial The law of the playground (2009), quizás demasiado para una agrupación tan divertida como The Boy Least Likely To. Pero Jof y Peter siguen enfrascados (y hacen bien) en su mismo mundo, enrocados en ese particular universo a medias entre infantil de juguete y adulto-post adolescente. 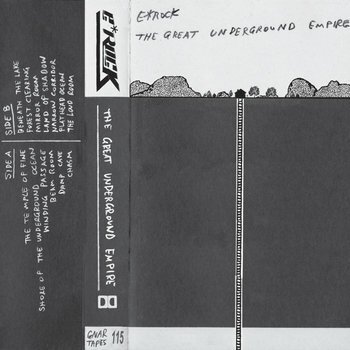 En esa eterna frontera TBLLT nos ofrecen este tercer trabajo: The great perhaps (2013). Un disco que han editado gracias a la ayuda de todos sus seguidores (su proyecto de crowfunding sobrepasó con creces su objetivo), que hemos contribuido a que los chicos nos deleiten los oídos de nuevo con un disco que, aunque no tan arrebatador como su predecesor, sí que contiene momentos especialmente inspirados y atinados. Como dije antes, la temática de The great perhaps continúa más o menos invariable: sentimientos (Even Jesus couldn´t mend my broken heart, The dreamer song, It could ´ve been me -dueto con Gwenno Sanders, de las Pippetes-), el miedo a una vida más adulta (Taking windmills for giants), el temor a la muerte (Lucky to be alive), o una mirada al cielo y a las estrellas (Michael Collins). En el aspecto sonoro, sí que podemos contemplar una cierta evolución en la música de The Boy Least Likely To, quizás hacia un mayor empleo de sintetizadores y teclados que en épocas pasadas. Quizás aquí podríamos extrapolar ese sentido del paso a una edad más madura, y aunque el concepto de sus temas sea el mismo: ese sonido C86 con ayudas electrónicas, su sonido apunta por momentos hacia bandas como The Postal Service o unos Aztec Camera sintetizados. Lo cierto es que hay momentos absolutamente brillantes que están dominados por la electrónica, como la epatante Climbing out of love, uno de los mejores cortes del disco, o el impactante primer sencillo I keep falling in love with you again, reseñado en TJB en febrero de este mismo año. The great perhaps pasa por ser, pues, uno de los momentos más emocionantes del panorama de 2013. La manera de entender la música de Jof y Peter forzosamente tiene que conducirte a quererlos. Son como esos dos amigos que de vez en cuando te reencuentras y te chateas a distancia con ellos. Si eres seguidor de Juan de Pablos, lo comprenderás en seguida. “UK duo The Boy Least Likely To have emerged as a beacon of stability within the tumultuous confines of the indie pop world by detaching themselves from the hype cycle and embarking on a course of measured release and evolution. In his review of the band’s second album, 2009’s The Law of the Playground, Marc Hogan spent a considerable amount of time grappling with the album’s outmoded feel, ultimately concluding that the record was “especially out of step in 2009.” Four years later, that statement still rings true: while the reigning hip sound has shifted from Hogan’s descriptions of harsh tones and flawless Auto-Tune to a sort of omnivorous polyglot pop, the thoroughly twee vibe and simple songcraft of The Boy Least Likely To remains surprisingly anachronistic. 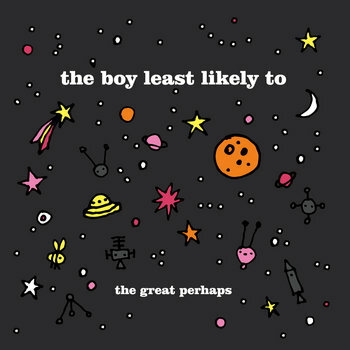 Divorced from the context of the larger pop landscape, the band’s new album The Great Perhaps finds Jof Owen and Pete Hobbs progressing at their own pace, exploring new sounds and becoming decreasingly reliant on the juxtaposition of child-like sonics and mature lyrical themes. The finest moments on The Great Perhaps typically revolve around the band’s deployment of a previously unheard influence or instrument. Early single “Climbing Out of Love” is constructed around an indelible, bubbly synth hook and a basic, cycling acoustic guitar riff: the result is a touching electro-acoustic pop curio that’s reminiscent of the brightest cuts from Bright Eyes’ 2005 oddity Digital Ash in a Digital Urn. Another highlight is the gentle ballad “Michael Collins,” which flashes a second or two of Beach House-like drum machine haze before taking a right turn into tasteful string orchestration and harmonies that could’ve been ripped from a late-period Band of Horses B-side. It’s apparent that Hobbs and Owen have been digesting the work of several of their contemporaries, and the deployment of those influences is consistently strong on The Great Perhaps. The album’s other great successes find Owen focusing on specific narratives and fleshing out songs with certain lyrical details, rather than sticking to basic rhymes and big-picture concepts. “Michael Collins” uses the imagined experience of an early American astronaut to set up a consideration of our lack of perspective, and the combination of that big lyrical reveal with aforementioned vocal harmony is strikingly touching. Elsewhere, on the slow-paced lament “The Dreamer Song,” Owen’s mention of small items like flimsy spring blossoms and gin-lemonade cocktails greatly flesh out an otherwise standard tale of hopeless romanticism. That said, a few songs over the course of The Great Perhaps’ could use a lot more of this sort of detail. The album’s weakest songs lean too heavily on the crutch of pairing sonic whimsy with adult rumination on love and loneliness, and the result is a handful of maudlin cuts couched in cliché. 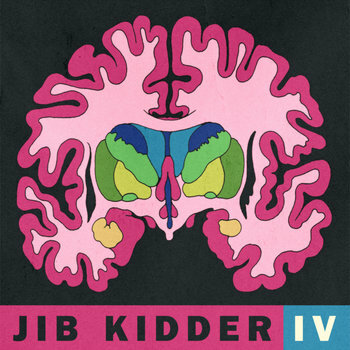 In this vein, the album’s nadir is the blessedly quick “Even Jesus Couldn’t Mend My Broken Heart”, which marries a sparkly Wiggles-worthy synth melody to the hopeless titular claim. The shock of this combination transcends surprise and quickly zooms into the realm of questionable taste; it feels like a cheap trick, especially given the mature construction of the album’s second half. Tras aquel Driving without headlights (TJB, Abril 2013), Squirrel Records nos presenta el que es el nuevo sencillo de Girl One and The Grease Guns: Jessica-6, otro bonito corte mezcla entre el mejor Electropop (vía Human League, por qué no) y las melodías vocales propias de gente tan dispar como por ejemplo The Jesus and Mary Chain. Lo cierto es que el tema es incontestable, y su belleza absolutamente sin par. Los teclados y los adornos accesorios sólo colaboran a mejorarla. 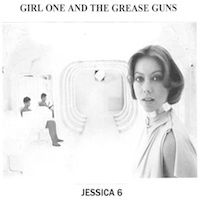 “In April this year, Squirrel Records released the debut 7″ from Girl One And The Grease Guns. 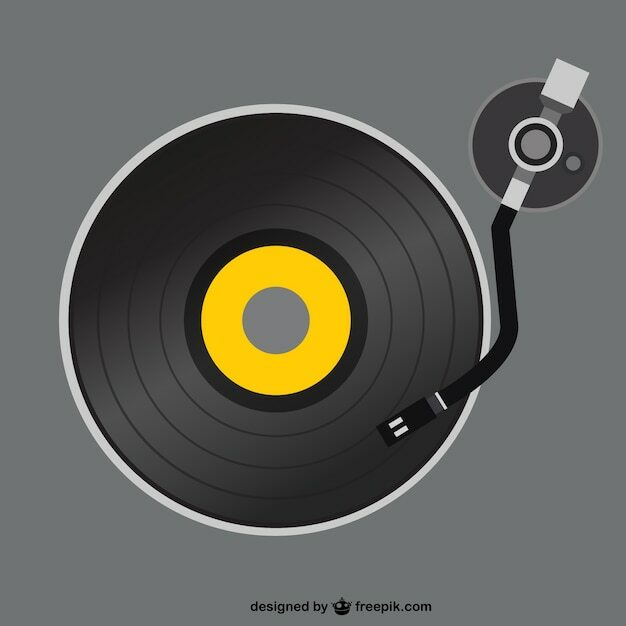 It went on to be one of the fastest selling 7″s we’ve ever unleashed on the world. Now, this mysterious collective deliver their follow-up… another 7″ release which continues the electro pop approach of the previous single… but this one is even better. Jessica 6 is 3 minutes of pure pop. 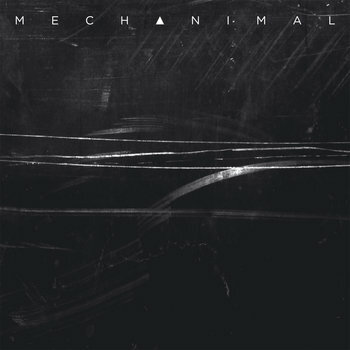 Sounding something like The Human League in places, but with a vocal melody reminiscent of The Jesus And Mary Chain, it gets straight to the point and, like all great pop songs, doesn’t hang around for too long. Os dejo con su vídeoclip y el enlace a Facebook, para que conozcáis más sobre ellos. Últimamente nos estamos encontrando con una escena musical francesa de lo más variopinta, con bifurcaciones tanto Retros como Rockeras o como representan Marie False, Shoegazers. La verdad es que porque leí en su Facebook que eran originarios de Rennes, si no es así, no relacionaba su sonido con otro origen que no fuera la zona de influencia de Kevin Shields: el reino de la reverb. O algo así, porque Marie False son una contundente propuesta Shoegaze con miras Noise y, como decía, reverbs omnipresentes. Auténticas experiencias sonoras que nos llevan a cuatro cortes de una media de cuatro minutos de atmósferas envolventes y distorsiones controladas. Bajo el colectivo Discos del Rollo se agrupan algunos seres de creatividad desbordada y de ingenio y talante sin par, que han decidido dar abrigo a bandas amigas o proyectos personales o paralelos. Que Bailen los Demás es una de esas bandas más o menos “de laboratorio” surgidas en torno a artistas como Detergente Líquido, Noiseland o Pajarita. En esta segunda referencia, aunque primera bajo el abrigo de una discográfica-distribuidora, QBLD consiguen mantener ese “anonimato” y no nos proporcionan demasiada información sobre sí mismos o los miembros que lo forman, aunque en realidad alguno de sus responsables sea conocido por estos lares, chats incluidos. Creo recordar que en algún otro momento ya comencé una reseña de forma parecida, pero cuando en su nota de promoción Galaxina indican: “Escuchando sus canciones se pueden encontrar ecos de The Beatles, The Rain Parade, Jesus & Mary Chain, My Bloody Valentine, Slowdive, Pale Saints, Ride, The Telescopes o Adorable”… con esta tarjeta de presentación, sabes que apostar por ellos es un valor seguro: algo bueno tiene que salir de ahí. Personalmente, de su maqueta publicada en su Myspace (a ver si arreglamos esto y nos hacemos un Bandcamp, ejem, ejem…), me quedo con este temazo llamado Solo una razón. En sus dos minutos treinta y un segundos, los almerienses resumen muchos de los elementos que nos llaman la atención y que me evocan muchos momentos interesantes de los noventa: sonidos Shoegazers-facción Noise, melodía impecable, ritmo enérgico, distorsión medida y alto contenido emocional. En estos momentos se encuentran preparando los temas para lo que será su debut, con algo de atraso pero qué queréis que os diga: estamos en Andalucía. Seguro que será uno de los discos nacionales del año. “Dos melómanos empedernidos -Pepe (guitarras) y Campos (voz y guitarra)- se conocen hace ya unos cuantos años en su Berja natal. Sus coincidentes gustos musicales -desde el pop sesentero hasta el indie de los 90- hacen que rápidamente congenien y terminen tocando juntos, de manera intermitente, con diferentes formaciones. No es hasta mediados de 2010, al unirse a ellos Toni (batería) y Miguel (bajo), cuando Galaxina queda definitivamente formado como grupo. 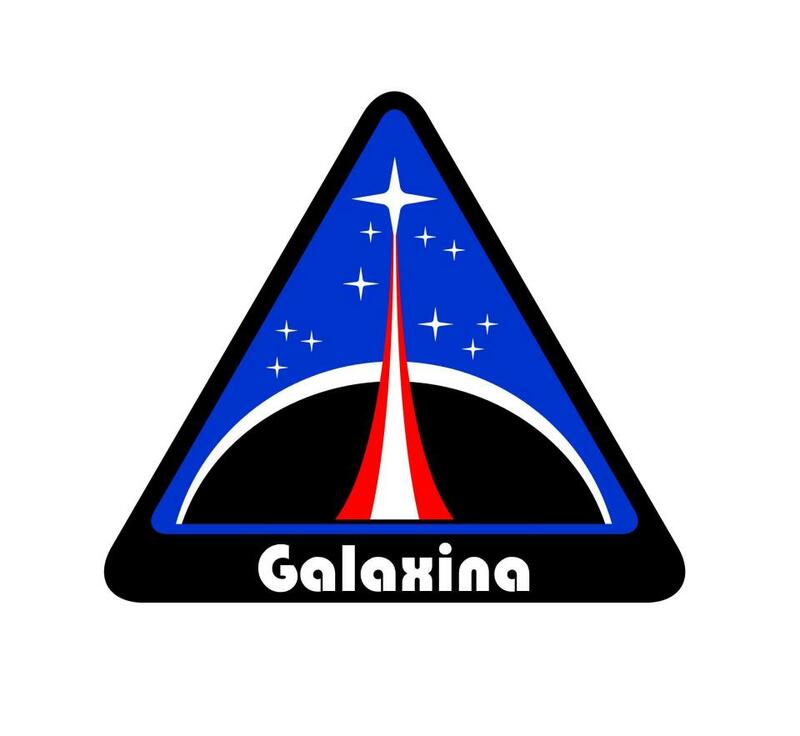 Cuando se les pregunta el porqué de ese nombre juegan al despiste y unas veces citan la canción de Penélope Trip y otras, la película de ciencia ficción de serie B dirigida por William Sachs en 1980, convertida con el tiempo en film de culto. Con la formación ya estable comienzan los ensayos y pronto empiezan a encontrar un sonido característico influenciado principalmente por el pop inglés de cualquier época, con especial incidencia en el shoegazing de los años 90. Combinando luminosas melodías con sabias dosis de distorsión (a veces sutil, a veces brutal), el grupo consigue un sonido propio sobre el que sobrevuelan unas relucientes y poderosas guitarras. Escuchando sus canciones se pueden encontrar ecos de The Beatles, The Rain Parade, Jesus & Mary Chain, My Bloody Valentine, Slowdive, Pale Saints, Ride, The Telescopes o Adorable. El romanticismo taciturno envuelto en clasicismo puesto al día es de nuevo el protagonista en este sencillo de Matthew Gasda (aka. Preludes). La sensibilidad de un músico que en esta ocasión apuesta por unos ambientes algo más oscuros y una instrumentación algo más tenue.